High end high power configuration, with a peak performance of 3.3 TFlop/s peak. 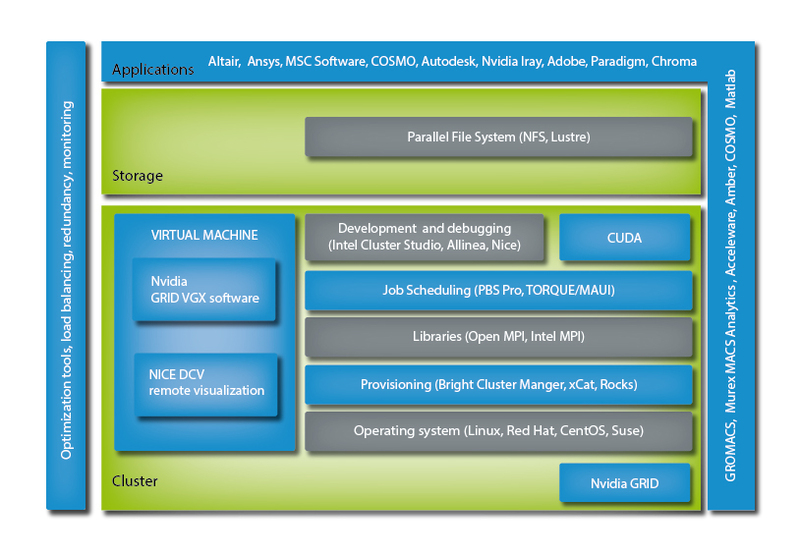 The ACPU-20-10 is ideal for both data center and embedded usage. • High performance computing (HPC)Heavy computational loads • Simulation • Signal processing • Rugged HPC Cooling The Aurora ACPU-20-10 board is water cooled to maximize performance, energy efficiency and deployability in demanding environments. The Aurora ACPU-20-10 can be easily connected to a heat exchanger through Dynatem or third party. ACCELERATION – ACPU-20-10 is able to perform at 3.3 Tflop/s. It has very fast I/O with Infiniband or Gigabit Ethernet. MIL-STD Versions – The CPU 71-10 is offered in versions that support high shock and vibration immunity, and conduction-cooling. Conformal coating is available for all versions. RELIABLE – No moving parts eliminate vibrations. Direct water cooling avoids hot spots while the soldered memory provides speed and robustness. 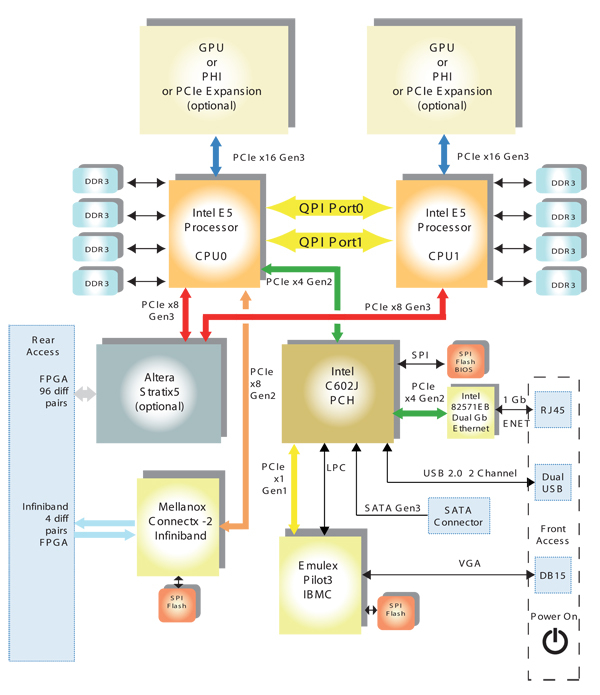 FPGA – ACPU-20-10 is provided with an Altera Stratix FPGA connected with 2 links PCIe3 x8 to the CPUs. • GPGPU 2 x Nvidia Kepler K20 or K40 small form factor Each 2,496 CUDA cores clock at 705 MHz (single-precision floating point performance at 3.52 TFLOP/s and double-precision 1.17 TFLOP/s) 5 GB GDDR5 memory – bandwidth of 200 GB/s.